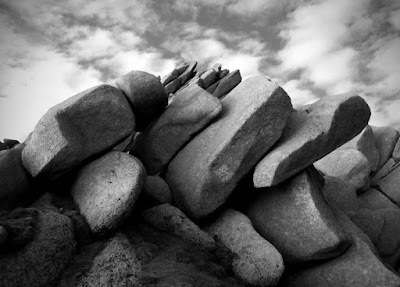 Image from 'Stone Play' - can you guess where it is? On the Scottish bouldering front, I heard that Dave MacLeod, newly resident at Fortwilliam, is cleaning up the bouldering mythologies of Glen Nevis. He climbed the first confirmed ascent of the problem formerly known as The Morrighan which is the awesomely steep crimpy line under Pinnacle Ridge crag - we await a reappraisal. A few other projects fell in the glen and will be reported soon, John Watson having cleaned up an excellent traverse (Sylvestris Font 7a+) on the Pine Alp boulders above Whale Rock. 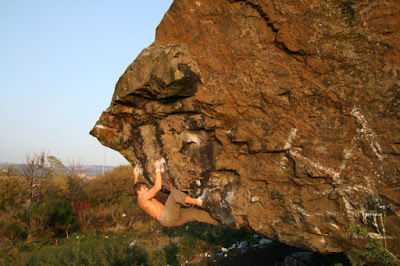 At Dumbarton, a young Glasgow Uni crew is eating up the 7c's and breaking down the 8a's rather too quickly for this veteran's liking! Ben Litster repeated Silverback, committing to the final move with an ear-shattering power yelp! There was an unassuming and impressive repeat of Pongo SS by Simon Westway (name correct? ), and the harder lines seem a little closer to repeats by the younger generation. The North: earlier in the autumn Mike Lee did the first ascent of the Brin roof Susurrus Font 7c, which is an impressive line and an excellent testpiece for the campus kings. Richie Betts, Dave Wheeler and friends continue to develop the Inverness area, with new problems up to 7b at Duntelchaig, Cummingston, Kessock, Scatwell and Meig. Ian Taylor, Richie Betts and Lawrence Hughes have added more class problems to the Torridon Celtic Jumble, which is by no means worked out! Dedicated guides for these areas will follow in 2008. 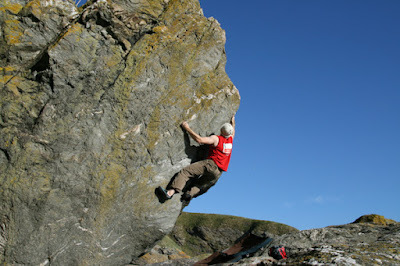 Clashfarquhar on the Aberdeen coast is now the new hard area to visit, with Tim Rankin having put up a number of impressively hard lines on the Big Grey boulder cluster, including Sweet Cheeks 7c+ and the hardest 7a on the planet (Clash Arete sit start!). So what's next? 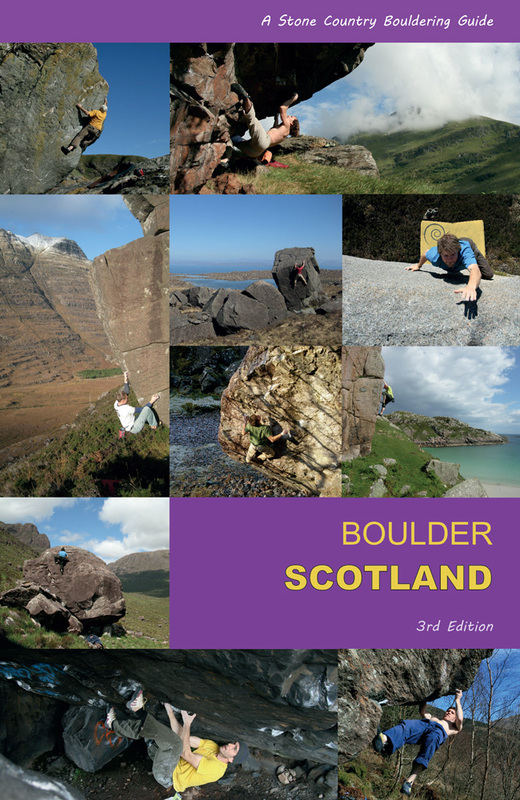 Hot on the heels of Stone Play is the new Bouldering in Scotland guide, which we expect to be out early February. 80 venues or so, most of them refreshed, updated or just plain new... so get your projects done by Christmas if you want them in! 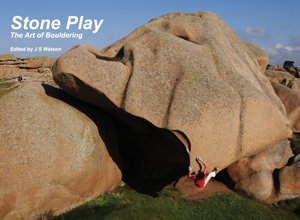 This is the first collection of bouldering writing and photography ever to have been published. It’s a global tour through the history of bouldering, including writing from as early as Oscar Eckenstein and Harold Raeburn, through to the modern era, including Klem Loskot, Jacky Godoffe, Bernd Zangerl and Dave MacLeod. 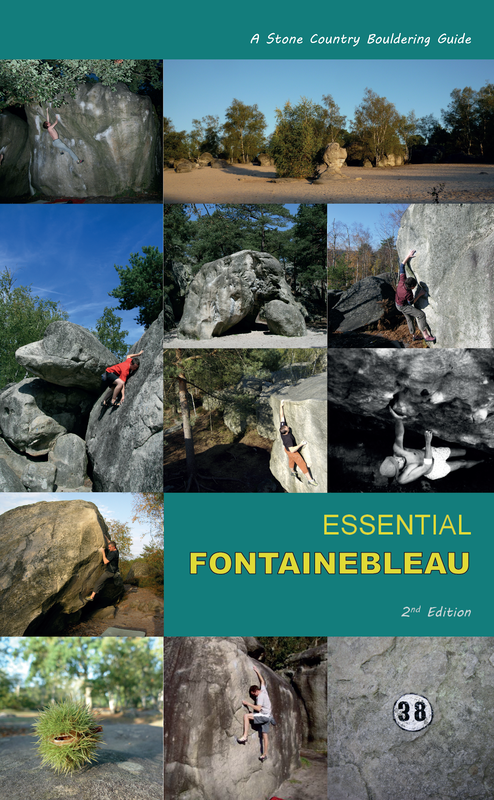 We have Niall Grimes, John Palmer and Nick Dixon on the Peak; we have Geoff Dyer on Hampi; Tim Carruthers on Patagonia; Jacky Godoffe on Fontainebleau…. from the ‘golden age’ of American bouldering we have Pat Ament and John Gill… the list goes on.